The following information is provided to help parents understand the boundaries set by the club so that it functions as best it can for all those involved. Acceptance of this information document also confirms your acceptance of the terms and conditions implied in the document. Parents and carers of pathfinders are required to attend the ‘swearing in’ (first club night), ‘swearing out’ (investiture), rally and fair days. Parents are invited to volunteer for one event each year. This level of engagement with the club ensures that you are actively involved at important milestones in your child’s development. Club nights are run between 5pm and 8pm in the Wantirna Church Hall where a variety of activities are organised for the Pathfinders. Dinner will be included in the club nights. WPC advertise the departure and approximate arrival time for club camps. Departure and arrival is from the Wantirna Church car park. Pathfinders must present at the church with their kit before the advertised departure time for a prompt getaway. To ensure the club provides correct notice of activities to the Wantirna church board, the cut off time for camp registrations is the Sunday night before departure. To confirm the approximate camp return time, parents will be sent an SMS approximately 2 hours prior to arrival at the church. Parents can call the leaders whose details are advertised as contacts on the camp information material for more details at any time. The club has a field uniform ("We believe..." smurf top, black and blue hoodie and cap) for club nights and camps. At formal events, pathfinders wear a dress uniform of black pants or skirt and a green shirt or white blouse. These uniforms are part of the pathfinder experience and identity and must be worn at all club events under direction from leaders. The club maintains a uniform bank (green dress uniform shirts and blouses) the cost of which is included in the club’s registration fees. A $25 refund is available when your child leaves pathfinders, provided the uniform is in serviceable condition. For more information on uniforms, contact Jann Bews. Subsequent children attract a 10% discount. The fourth and subsequent children are free. WPC leaders make decisions regarding the operation of the club so that it can best achieve its mission. These decisions may at times conflict with the choices of particular children for the benefit of the club at large. Decisions are generally formed by consensus at leaders meetings or will be determined as required by senior leaders according to the delegation of authority issued by the club director. If you are concerned about an issue with your child, your first contact should be through their counsellor. If you feel the matter is very serious or remains unresolved despite the best efforts by all parties to deal with it, you can contact the Deputy Director Kim Waterfall (kim@wpc.asn.au) or Director Joel Bews (joel@wpc.asn.au). The club runs events to achieve our objectives. The costs of most events are included in the registration fee but the costs for running some special events are passed on to parents. The events are priced on a cost recovery basis. The club will from time to time photograph your child during events and share these photographs on email groups, the club website and with the broader church community. All care is taken to ensure your child is portrayed in a positive manner. Your consent to have your child photographed is implicit in standing policy. It is the pathfinder and parents responsibility to monitor their child’s progress to investiture. A useful approach is marking their attendance on the calendar attached the back of this document. 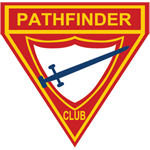 The club will provide one mid year progress report to pathfinders and parents. Other reports are available at other times at a cost of $150 per enquiry. All enquiries are to be directed via the club director at joel@wpc.asn.au. Fulfillment of these 5 requirements will allow the Pathfinder to be invested. Special consideration can be made on a case by case basis where the Pathfinder has been away for a period of time due to serious illness or other exceptional circumstances that prevents them from achieving the 75% attendance rate. If the Pathfinder wishes to be invested at the advanced level, then they need to meet the above 5 requirements, complete an additional three honours and record 90% attendance at WPC activities. These requirements are dictated by the SDA Conference which provide a minimum curriculum of pursuits and honours that need to be taught at each class level. The various class levels, from junior to senior are Friend, Companion, Explorer, Ranger, Voyager, Guide and Master Guide. The Friend and Companion classes are taught together and are referred to as Juniors. Explorers and Rangers together become the Intermediate class and the Voyagers and Guides make up the Senior class. Junior Counsellors or adult leaders can complete the Master Guide. WPC run a variety of camps during the year, some of which are specialised, for example water skiing, or white water rafting, while other camps are more general. Some Pathfinders avoid specialised camps because if they attended, they would then feel obliged to join in the activity, which may not be in their comfort zone. Although leaders would encourage and support the Pathfinder to participate in the club activity, it is not mandatory that all Pathfinders participate in the events. Parents are expected to encourage their Pathfinders to attend camps as this will greatly increase their pursuit hours and improve their likelihood of being invested. No parent is to solicit, lobby, seek favour or otherwise influence one or more members of the pathfinder leadership regarding their child’s investiture. Acts of solicitation will render a pathfinder ineligible for investiture. There is a large selection of Honours available for Pathfinders to do. These can be on topics as diverse as Dogs, Snails, Hiking, Photography, Knots, Christian Grooming and Manners. An Honour is represented as a token on their Pathfinder uniform sash. WPC run a swimming night during which the pathfinders go through the steps required to attain one of the swimming honours. Pathfinders need to attend this event every year to achieve all five swimming levels. With this process in place, each pathfinder should achieve all the swimming honours over the course of their pathfinder experience. Together with the swimming honour most pathfinders will complete at least three honours every year. The honour camp is held at the end of the year and invitations are given to pathfinders who have performed well during the year. Pathfinders who score in the upper 50 percentile are invited to attend honour camp. Whilst all care is taken, WPC takes no responsibility for the security of children’s personal items. Whilst phones and ipods are generally allowed on camps for travel to and from events, they are not to be used during camps. We appreciate that leaving your child in the care of others may come with some concern regarding their welfare. Every child and adult in the club has the right to feel safe and be treated with respect at all times. All complaints of bullying are treated seriously. The approach taken in dealing with bullying behaviour is minimising harm and restoring relationships. A full copy of the anti-bullying policy is available on request. The calendar of events is available on this web site. The calendar may change as the year progresses. You will be advised of any changes via e-mail or you can check this website for updates. WPC events are often run in remote or distant locations. To minimize the risk of WPC being adversely affected by natural disaster, senior staff communicate with emergency services staff and the SES about emerging risks. A risk management plan is prepared for each camp that includes responding to critical incidents and amending club activities in situ to respond to unfavourable risk situations.